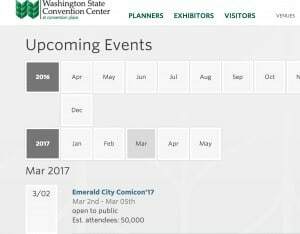 Dates for Emerald City Comic Con 2017 Revealed! 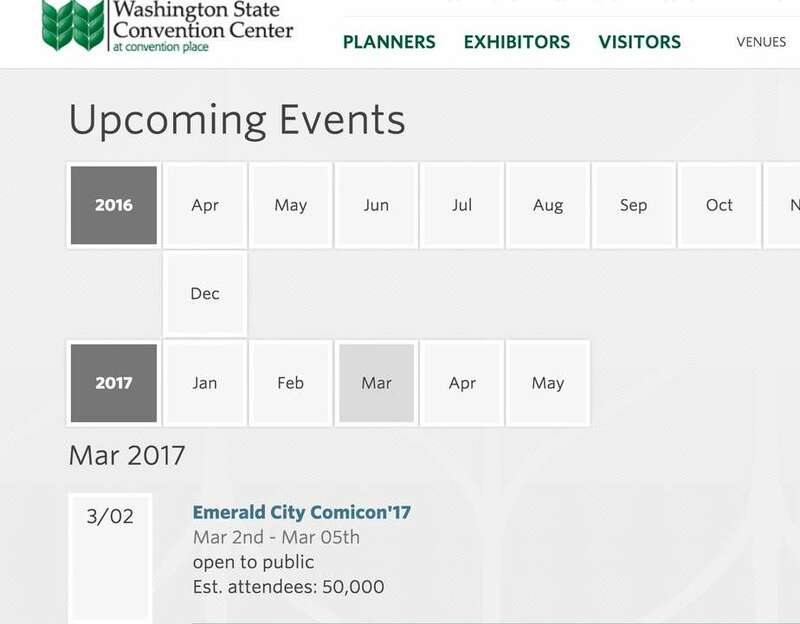 The website for the Washington State Convention Center reveals the dates for Emerald City Comic Con in 2017: March 2-5. These dates are earlier than usual for ECCC, which has been held at the end of March/early April since 2014. The convention hasn’t been this early since 2013, when it was held March 1-3. However this is great news for those of us who like to attend both ECCC and WonderCon, since WonderCon is scheduled for March 31-April 2, 2017. There will be a number of weeks between the two, which allows for more turnaround time between conventions. I hope to see you at Emerald City Comic Con in 2017! Join the discussion on Friends of Comic Con!